Lebhar-Friedman, Inc. announced today that it has sold its Chain Store Guide (CSG) division to Noson Lawen Partners. Included in the sale are 20 online databases and directories, 13 of which serve the retail business market, with the remaining 7 serving the food and food services industries. This diverse portfolio of properties ranges from the Department Stores Database to the Foodservice Distributors Database. For more than 80 years, Chain Store Guide has been the leading provider of comprehensive and definitive retail and foodservice intelligence to businesses and analysts around the world. The Chain Store Guides are comprised of databases and electronic newsletters – and they continue to be a primary source of information that business professionals rely on for timely and accurate data on the evolving retail and foodservice industries. 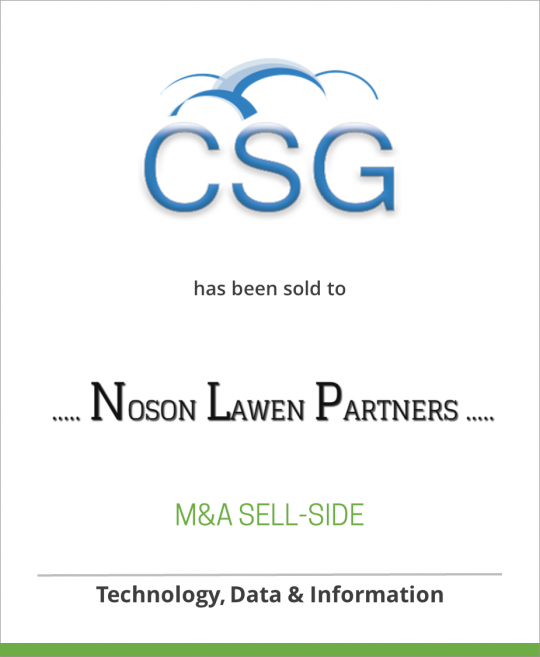 Earl Macomber of Noson Lawen Partners noted that “CSG is a longstanding gem in the database field featuring a deep active data collection newsroom and a broad engaged subscriber base that values its real-time digital information. CSG covers over 650,000 establishments, 195,000 key executives and buyers and features over 600 unique chain and store-level data search options.” Mr. Macomber added that NLP planned to further invest in and expand CSG’s already substantial product suite through internal development and acquisitions. Lebhar-Friedman, Inc. has leveraged an 80-plus-year history of publishing excellence and is among the country’s leading B2B and healthcare media companies.Headquartered in New York City, with leading B2B titles such as Nation’s Restaurant News, Drug Store News and Chain Store Age, Lebhar-Friedman’s business units are dedicated to providing executives, professionals and clients with timely and relevant information online and in print. The Chain Store Guide division is based in Lebhar-Friedman’s Tampa, Florida office.